A 2018 Chevrolet Impala. Photo courtesy of automaker. 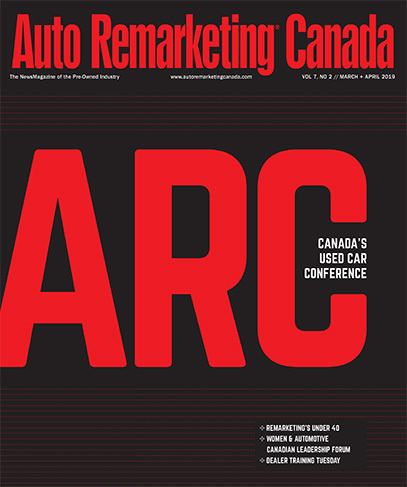 With eight individual model wins racked up, General Motors of Canada beat out all other automakers for the most Vincentric Best Fleet Value in Canada awards this year. Vincentric announced Tuesday that in addition to eight wins for GM of Canada, Ford Motor Co. of Canada follows closely behind with a total of six fleet award-winning models. Chevrolet brought GM most of its fleet awards, with six award-winning vehicles including the four-time winning Impala LS and Chevrolet Express 3500 LS, a three-time award winner this year. Meanwhile, the Cadillac XTS and XT5 models, which have been recognized for third consecutive and second consecutive years, respectively, attracted luxury wins for the GM brand. Moreover, two Ford truck and van models also performed well this year. The F-250 pickup truck and Transit 150 passenger van models both took home awards for the fourth consecutive year. This year, in addition to GM and Ford, other automakers with multiple individual fleet award-winning models include BMW, Mazda, Mercedes-Benz, Infiniti, Mitsubishi and Subaru. “With nearly half of the vehicles being prior winners, we’re seeing that many of these award-winning fleet vehicles are delivering low lifecycle costs year after year in Canada," Vincentric president David Wurster said in a news release. This year, Vincentric said it performed a detailed cost of ownership analysis on more than 2,400 vehicle configurations based on ordinary use within a commercial fleet. Each car was graded in all 10 provinces using a variation of 28 lifecycle cost scenarios and eight different cost factors, according to Vincentric. Click here to find more details about Vincentric’s methodology and all of the 2018 Vincentric Best Fleet Value in Canada award winners.